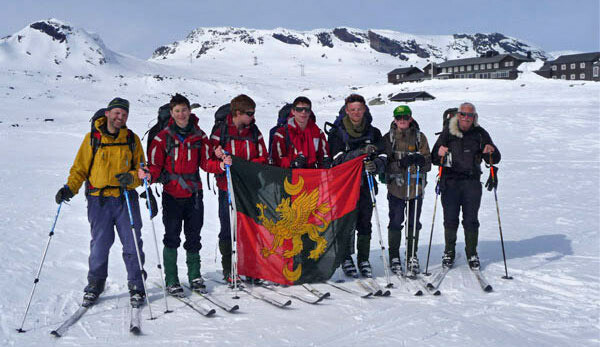 Over the Easter holidays a team of eight staff and students, from Wycliffe College CCF, went on an arduous cross-country skiing expedition to the Hardangervidda mountain range in Norway. 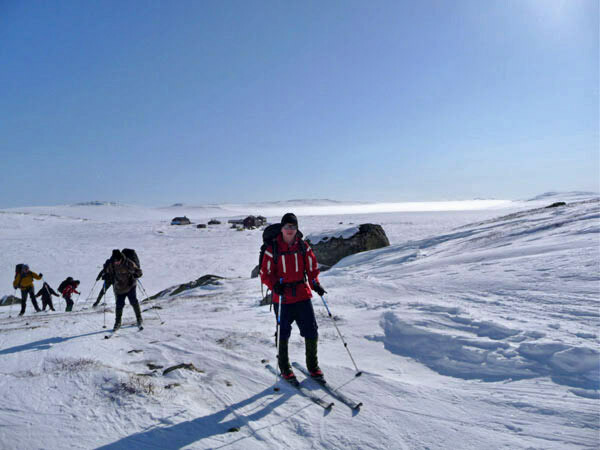 The aim of the venture was to introduce a fairly novice group of cadets to cross-country skiing in what is classed as one on the great wilderness areas of Northern Europe. Everyone responded quickly to the demanding training, which involved skiing skills, navigation, living and sleeping in snow holes, and general Arctic survival. On completing the three days of training the group with their 30lbs rucksacks headed off into this remote snowy wilderness on a 60 km expedition. The weather conditions were very good, the best ever. The brilliant sunshine gave us some wonderful views of the surrounding snow covered peaks, however on one morning the temperatures did plummet to -27 degrees C, and generally it was bitterly cold. The route was fairly undulating, and the steep downhill sections provided many a spectacular fall. Some were even totally submerged in the deep snow, Ciaran Povey became a master at this! 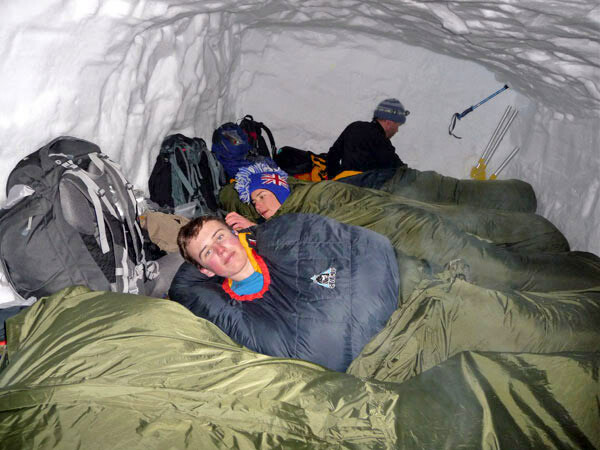 All enjoyed the creature comforts provided by the DNT* mountains huts, but there was still the exciting prospect of building and living in a snow hole on the penultimate day. Digging this proved to be 5 hours of back breaking hard work as the rock solid snow proved very difficult to extract. But the cadets stuck stoical to their task. It was now early evening, the sun was setting and quickly the temperature was free falling to sub Arctic conditions, there was a real incentive to complete our overnight abode, so fairly soon all seven of us were in our large ice bound cavern, comfortably wrapped up in sleeping bags cooking a well earned evening meal. From then on sleep just seem to come naturally! This was a very successful expedition, which all found challenging. These young cadets were quite superb. They were highly motivate, well organized and a joy to be with. For a group who had never cross country skied with a 30lb rucksack on their back this was quite an accomplishment. Many a veteran Norwegian skier that we met also commented on this. *DNT (Den Norske Turistforening) They organize the hut system.